I loved this book. 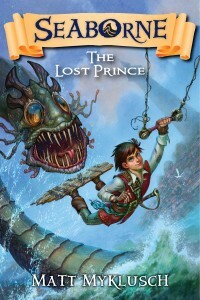 Adventure, swashbuckling, and a mysterious island. All the best of pirate lore along with young Dean Seaborne, a pirate spy. Wait a minute, a pirate spy. My first thought was, what the heck is a pirate spy. Simply put, it`s a pirate who spies on other pirates. Dean has been a pirate for as long as he can remember, and that`s not all that long considering that he`s only thirteen. He doesn`t like how he`s forced to live, but can`t imagine a way out. His newest job is to infiltrate the crew of the Reckless, which is captained by Gentleman Jim Harper and to find out why that ship`s profits as so low. During it`s short voyage, he learns far more than he could have imagined. What he learns changes his life. This is where the mysterious island with the golden trees enters the story. Oh wait, I can`t tell you any more, don`t want to spoil the surprises. For all his life, Dean has been told what to do and now he is placed in difficult situations where he has to make important choices. This is the chance for him to choose what kind of man he will grow up to be, a cut throat pirate, or will he follow in the steps of Gentleman Jim. I totally enjoyed this book. It was a refreshing take on the usual ruthless pirate story. It had all the action and adventure that I expected, yet it also had surprising twists and turns. This book would appeal to pre-teens both male and female. Dean and Princess Waverly are good role models, though for different reasons. Parents beware, if you give this book to your child, be prepared for him or her to want to read it straight through in one sitting and then start all over again.